Help a patient stand or sit. Help an individual rise from the floor. Patient transfers from bed, wheelchair, toilet or car. Protect patients who are unstable when standing. Help patients maneuver when using the bathroom. 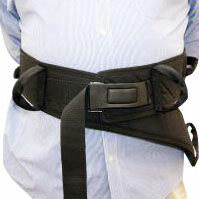 Reduce the risk of back injury to patient and staff during patient transfers.